What on Earth Happened to the Byzantines? 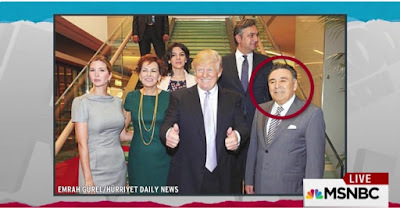 What’s the Difference between Modern Turkish People and Turkic Central Asians? The bizarre diplomatic scandal that erupted over the weekend, after the Netherlands banned several prominent Turkish politicians from organizing and participating in pro-Erdogan rallies just days ahead of the Dutch general election where immigration will be perhaps the most important topic, and which prompted numerous accusations of “nazism” and “fascism” by Turkey’s president Erdogan, appeared set to escalate further on Monday when the Turkish cabinet is expected to consider imposing sanctions on the Netherlands in a deepening row with the country’s NATO ally. Cited by Reuters, one minister said punitive measures were likely. A government source told Reuters that sanctions were expected to be discussed when the cabinet of ministers meets at 7 pm (1600 GMT). Ankara’s minister for EU Affairs, Omer Celik, said sanctions were likely. “We will surely have sanctions against the latest actions by the Netherlands. We will answer them with these,” Celik said. In addition to economic measures, sanctions could affect cultural activities, and military and technological cooperation. “When the sanctions are imposed, what we need to be careful about is being realistic. We are not completely closing the windows,” the source said. 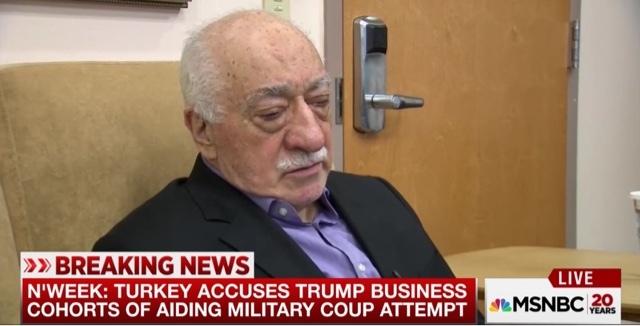 “However, we want to show that what has been done to Turkey will have a response.” He said certain cultural activities may be cancelled and the re-evaluation of military and technological cooperation was also on the table. Earlier, Turkey summoned the Dutch charge d’affaires on Monday to complain about the ban – imposed due to fears of unrest and distaste at what the Netherlands sees as an increasingly authoritarian tone from Erdogan – and the actions of Rotterdam police against Turkish protesters over the weekend, foreign ministry sources said. As we reported on Sunday Dutch police used dogs and water cannon to disperse hundreds of protesters waving Turkish flags outside the consulate in Rotterdam. Some protesters threw bottles and stones and several demonstrators were beaten by police with batons, a Reuters witness said. Mounted police officers charged the crowd. 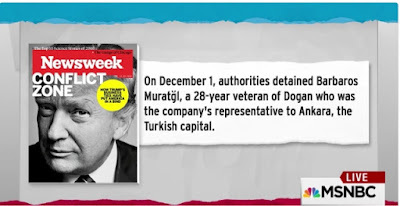 “The Turkish community and our citizens were subject to bad treatment, with inhumane and humiliating methods used in disproportionate intervention against people exercising their right to peaceful assembly,” a statement attributed to ministry sources said. As further reported over the weekend, President Erdogan, who is seeking support from Turks in a referendum on boosting his powers, accused the Dutch government of acting like “Nazi remnants” and said it should face sanctions for barring his ministers from addressing expatriate Turks to drum up votes. The row marks another low point in relations between Turkey and Europe, further dimming Ankara’s prospects of joining the bloc. 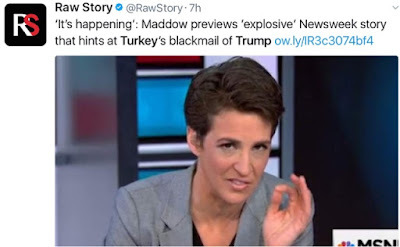 It also comes as Turkey is caught up by security concerns over militant attacks and the war in neighboring Syria. Some 400,000 Turkish citizens live in the Netherlands and an estimated 1.5 million Turks live in Germany. Commenting on the Turkish official visits, the Dutch government said the visits were “undesirable” and it would not cooperate in their campaigning. According to polls, it is set to lose about half its seats in elections this week as the anti-Islam party of Geert Wilders makes strong gains. Monday was the third time the Dutch envoy had been called in since Saturday over the row. The Dutch ambassador is on leave and the Turkish foreign ministry says it does not want him back “for some time”. For now, economists do not anticipate a major fallout from the diplomatic scandal. 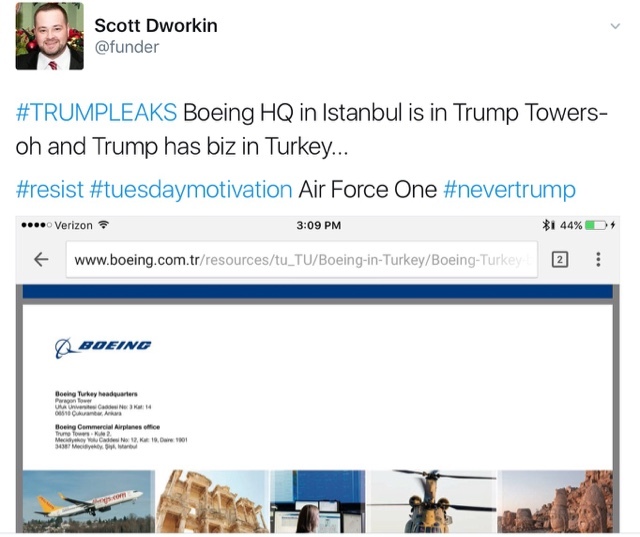 Ozgur Altug, chief economist at BGC Partners in Istanbul, said at this stage he did not foresee the row having serious short-term economic consequences. 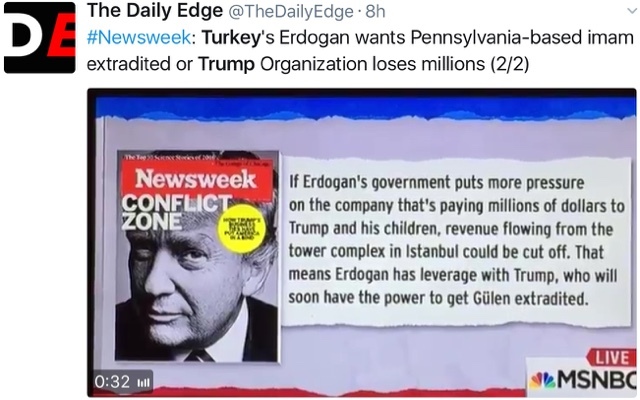 Still, with Dutch direct investment in Turkey amounting to $22 billion, making the Netherlands the biggest source of foreign investment with a share of 16%, there is a substantial risk of escalating retaliation which could impact the deteriorating Turkish economy which recently posted double digit inflation. “If the tension escalates and if countries start imposing sanctions against each other, it might have serious implications for the Turkish economy,” Altug said. Turkish exports to the Netherlands totalled $3.6 billion in 2016, making it the tenth largest market for Turkish goods, according to the Turkish Statistical Institute. Turkey imported $3 billion worth of Dutch goods in 2016. Additionally, Reuters notes that Dutch visitors are important to Turkey’s tourism industry, which was hit hard in 2016 by security fears due to attacks by Islamic State and Kurdish militants. Some 900,000 Dutch people visited Turkey last year, down from 1.2 million a year earlier. Ankara has given the paramaters it seeks to de-escalate: it is is seeking an official written apology for the treatment of its family minister and diplomats in Rotterdam, the Turkish foreign ministry sources also said. However, as noted on Sunday morning, Dutch Prime Minister Mark Rutte has said it is Erdogan who should apologize for comparing the Netherlands to fascists and Nazis, adding that Turkey was acting “in a totally unacceptable, irresponsible manner”. NATO Secretary-General Jens Stoltenberg called on Turkey and the Netherlands to defuse the row. Point of view is important. 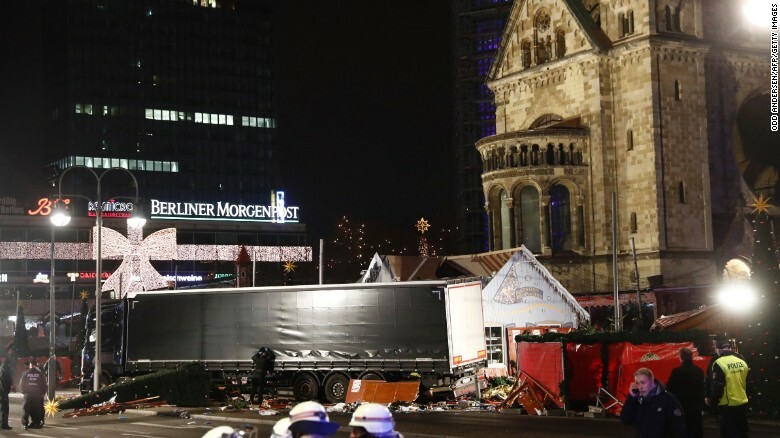 As some people have noted, the truck used to plow into a crowd at Berlin’s Christmas Market, seen at a different angle, is a monolith. Look for more in the next week. The Season of Christmas 2016 will be one targeted by those who wish to do others harm. Viewing the world synchromystically ‎concerns the drawing of connections in modern culture (movies, music lyrics, historical happenings and esoteric knowledge); and finding connections that could be issuing from the “collective unconscious mind”; and finding connections between occult knowledge (i.e. 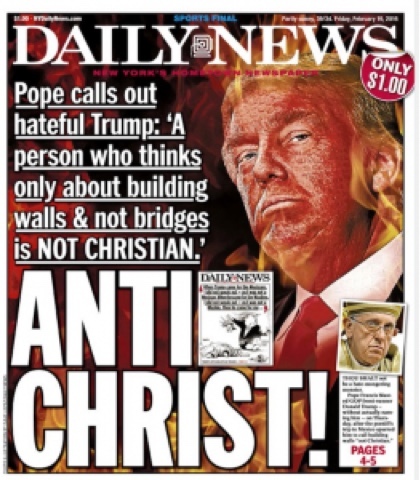 esoteric fraternities, cults and secret rituals), forteana, politics and mass media. As readers of various artisans of synchromysticism, as well as of this blog, you are all familiar with the connecting of the dots that can take detours and side treks leading to a variety of surprising links. During the remarkable period that occurred right before 2016’s Winter Solstice, terrorist attacks tied to intriguing location spotlighted synchromystic geography. Here are the moments, with an attempt to note the specific, intriguing “places” that were interwoven with these events. On Sunday morning, December 18, 2016, a suicide bomber disguised as a disabled man killed 52 people and injured over 80 others, in Aden, Yemen. 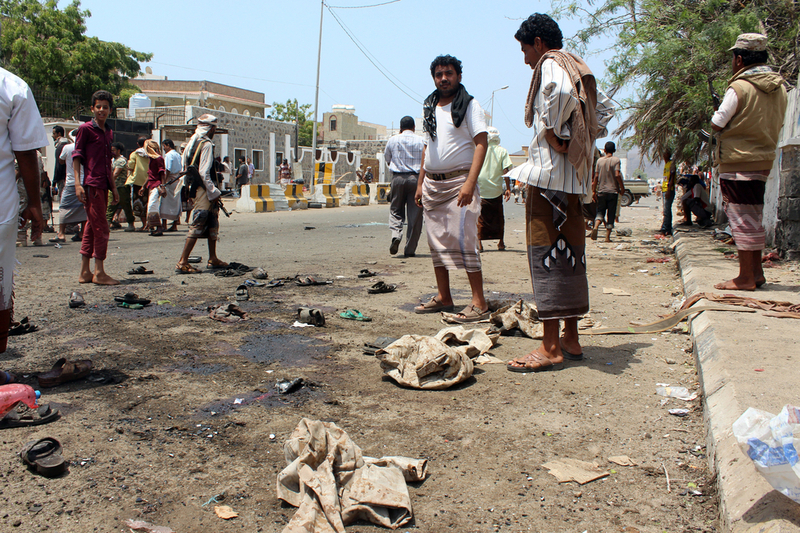 The attack near a military base targeted a gathering of Yemeni security officers, and the majority of those killed were Yemeni soldiers who were waiting to receive their salaries. The bombing happened outside the home of Nasser al-Anbouri, the commander of the Special Security Forces, near a military base in Aden. The Islamic State claimed responsibility. Seven Jordanian security officers, a Canadian tourist and two Jordanian civilians were killed by gunmen in the southern city of Karak on Sunday, December 18, 2016. 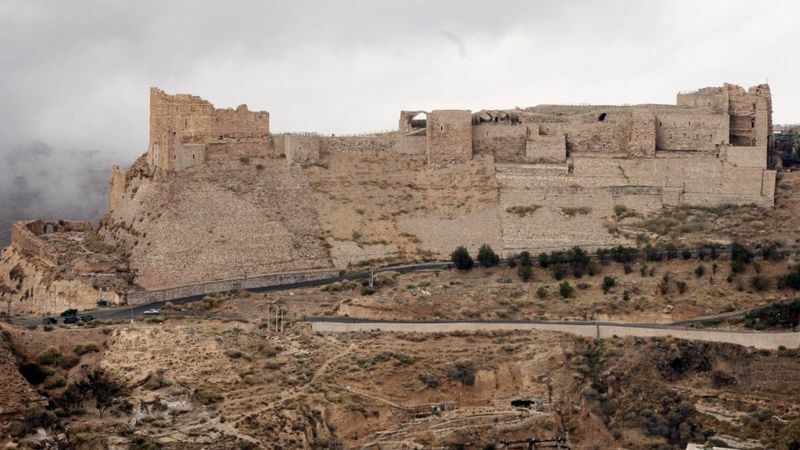 After a couple of shooting incidents, at a home and an attack on a police station, police were told the gunmen were hiding inside the Karak Crusader castle, a prominent tourist attraction on a hilltop. Several Canadian news outlets identified the tourist as Linda Vatcher, a retired teacher from Newfoundland. At the time of the attack, she was visiting her son David or Chris (as he has been variously identified), who works in the region. He is among the injured. Four of the attackers were also killed. On Tuesday, December 20, 2016, at Karak, Jordan again, four Jordanian security personnel were killed in fresh clashes with armed men near the central town of Karak. 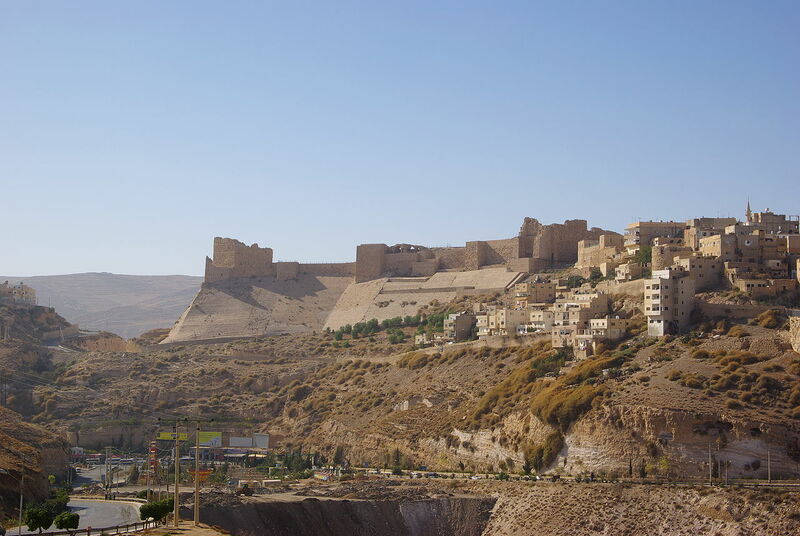 Kerak Castle is a large Crusader castle located in al-Karak, Jordan. 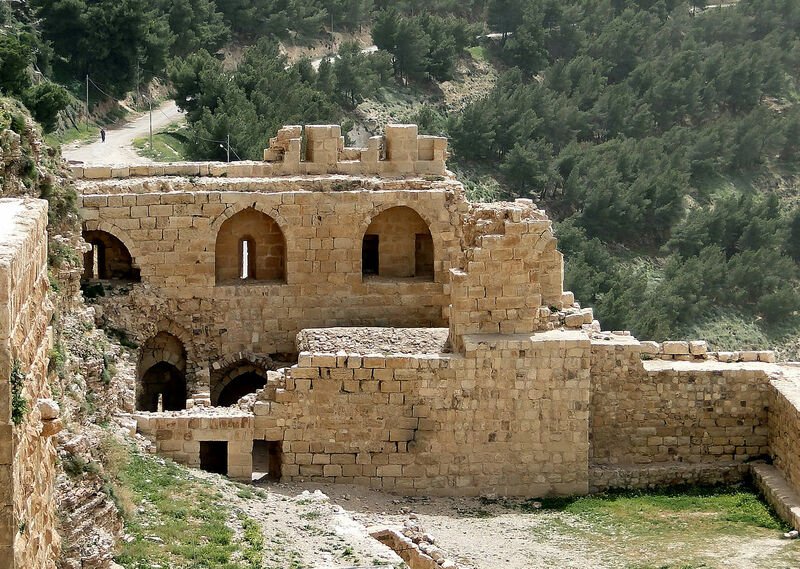 It is one of the largest crusader castles in the Levant. Construction of the castle began in the 1140s, under Pagan, Fulk, King of Jerusalem. The Crusaders called it Crac des Moabites or “Karak in Moab” referred to in history books. 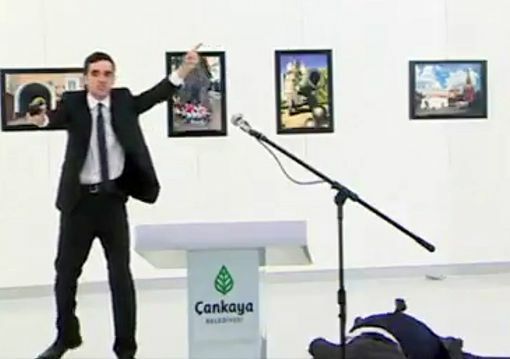 On 19 December 2016, at 20:15, Russia’s Turkey ambassador Andrei Karlov was shot and fatally wounded by Mevlüt Mert Altıntaş, a 22-year-old off-duty Turkish police officer, at an art exhibition in Ankara, Turkey. 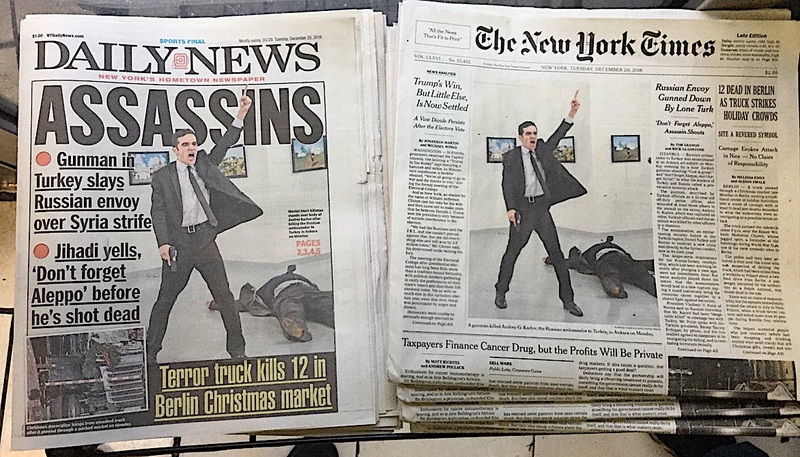 The attacker, who was dressed in a suit and tie, opened fire at Karlov at point-blank range while the ambassador was delivering his speech in front of journalists, fatally wounding the ambassador and injuring several others. The attacker gained access to the gallery after he showed his police ID to security guards. A video of the attack showed the assassin crying out: “Don’t forget Aleppo, don’t forget Syria!” and “Allahu Akbar” (God is Greatest) while holding a gun in one hand and waving the other in the air in the tawhid salute. The assailant shouted in Arabic and Turkish. 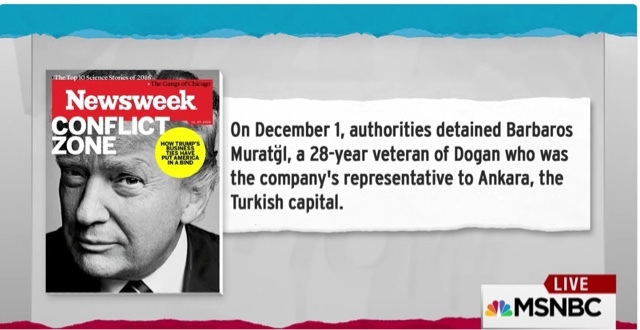 Altıntaş was subsequently shot by Turkish security forces. Both were rushed to hospital, but they died from their injuries. 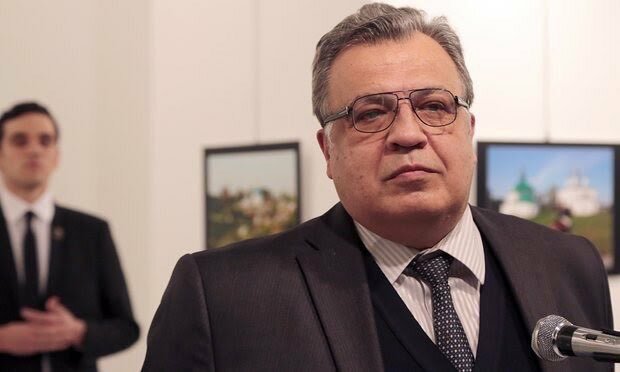 The city of Ankara announced that the exhibition hall where Karlov was assassinated would be named after Andrei Karlov. 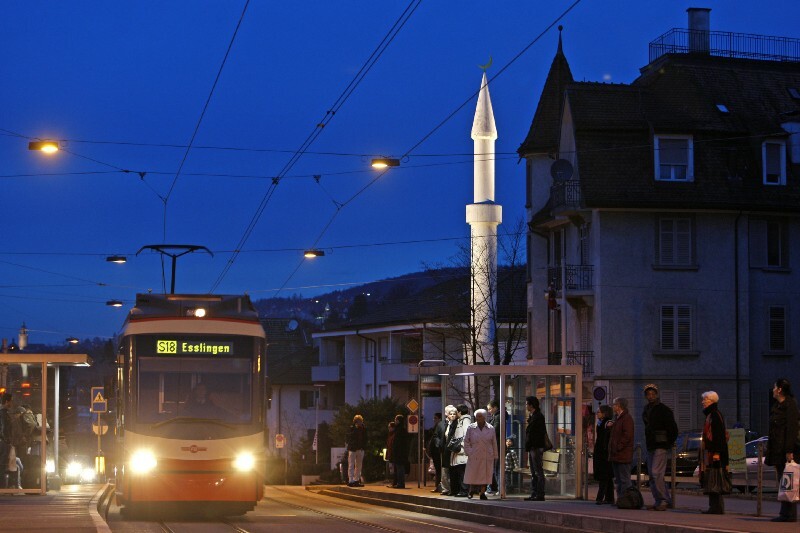 At approximately 5:30 PM on 19 December 2016, a man entered an Islamic center near the main train station in Zürich and began shooting, apparently at random. The center, which is primarily used by refugees from Somalia and Eritrea, was hosting prayer services at the time. Approximately 10 people were present at the shooting. Three people were wounded in the attack, two seriously, though all are expected to survive. The victims are two Somali nationals, age 30 and 35, and a Swiss citizen age 56. 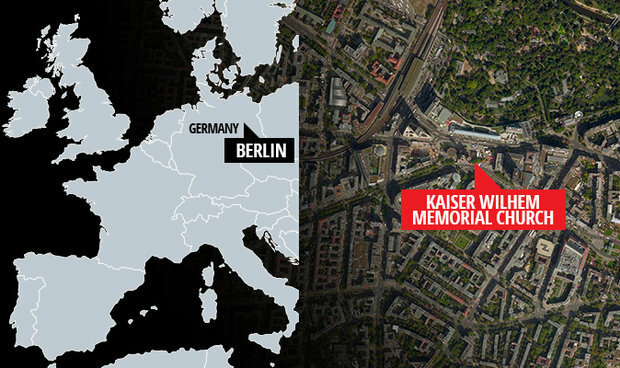 One witness reported hearing the shooter yell “Raus aus unserem Land [Get out of our country]” during the attack, though police could not confirm this. 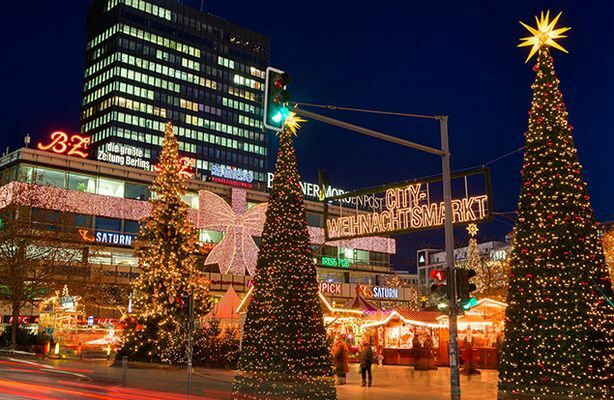 At approximately 9 AM on 18 December 2016, a dead stabbing victim was discovered on a playground in the Schwamendingen district of Zürich. The victim was a 25-year-old Swiss citizen of Chilean origin whose name has been withheld. The police identified a suspect in the murder based on DNA evidence at the scene and began searching for the assailant. The suspect’s DNA was in a police database due to an arrest seven years prior for stealing a bicycle, and he was known to be a former friend of the murder victim. 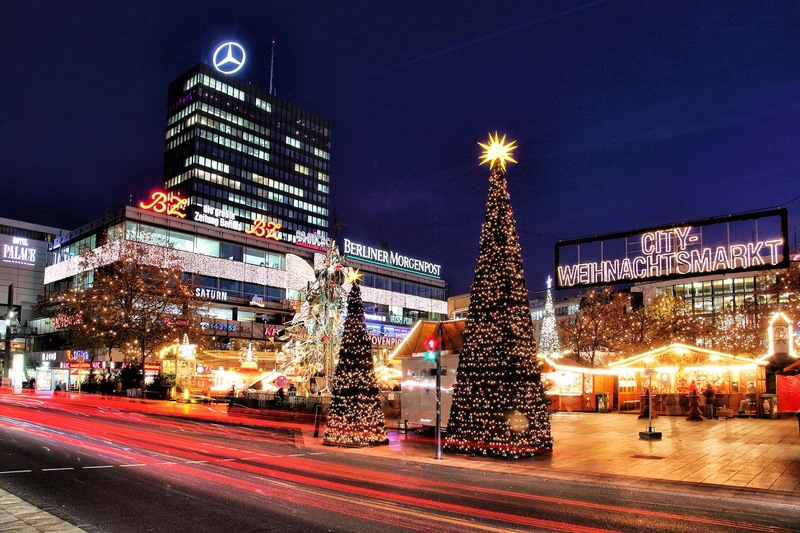 A terrorist attack on 19 December 2016, at 20:02 local time, during which a truck was driven into the Christmas market next to the Kaiser Wilhelm Memorial Church at Breitscheidplatz in Berlin, left 12 people dead and 56 others injured. 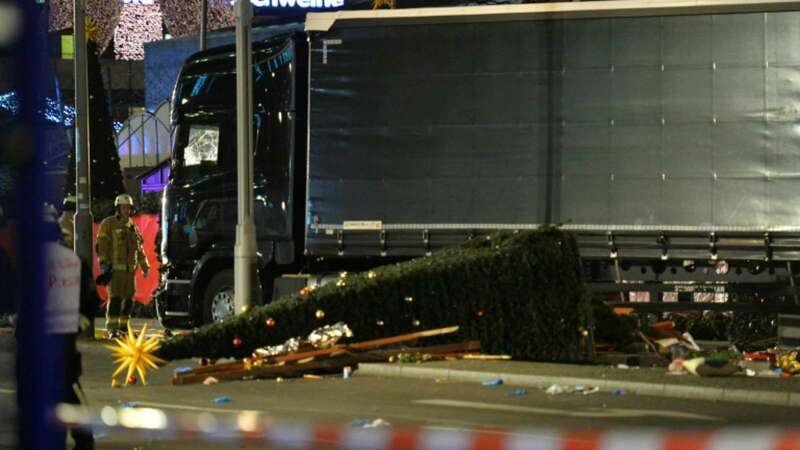 One of the victims was the truck’s original driver, Łukasz Urban, who was found shot dead in the passenger seat. A suspect was arrested and later released due to lack of evidence. Another person, suspected to be the actual perpetrator, was killed four days later during a shootout with police near Milan in Italy. On 21 December, police announced that investigators had found, under the truck’s driver’s seat, a suspension of deportation permit belonging to Anis Amri, a man who was born in Tataouine, Tunisia, in 1992. 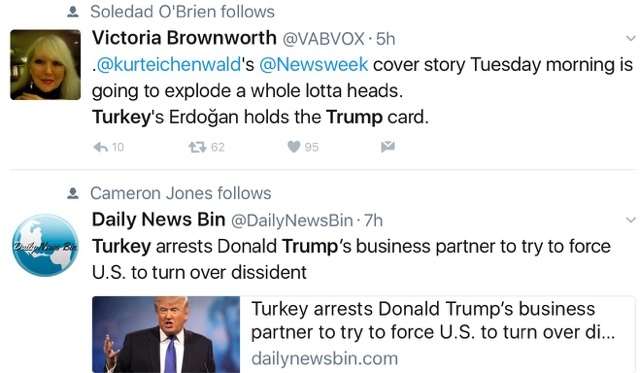 The suspect synced with Star Wars, as I noted in a tweet. 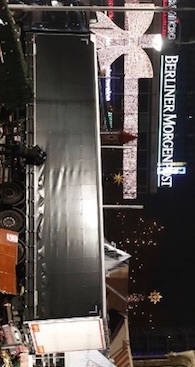 The truck came to a stop at one of the Christmas trees in front of the Kaiser Wilhelm Memorial Church at the Berlin Market. Here is the scene before the truck knocked one tree down. 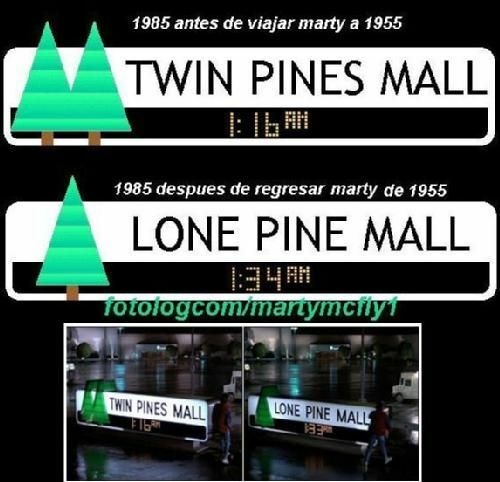 Students of Joe Alexander’s Back to the Future Predicting 9/11 will recognize the twin pines that symbolize more. 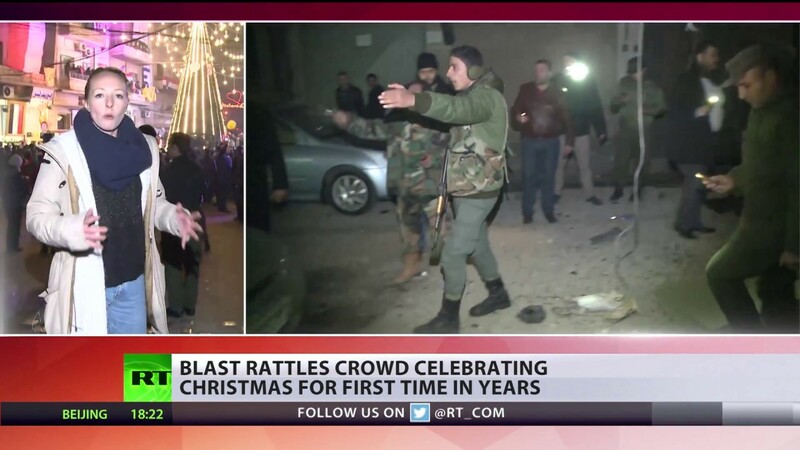 On December 20, 2016, a well-attended Christmas tree-lighting ceremony in the Syrian city of Aleppo was rocked by an explosion meters away from the gathered crowd. No casualties have been reported. We are seeing the unfolding of ancient battles in an ancient land. Aleppo had cultic importance to the Hittites for being the center of worship of the Storm-God*. this religious importance continued after the collapse of the Hittite empire at the hands of the Assyrians and Phrygians in the 12th century BC, when Aleppo became part of the Middle Assyrian Empire (1365-1050 BC), whose king renovated the temple of Hadad which was discovered in 2003. Modern-day English-speakers commonly refer to the city as Aleppo. It was known in antiquity as Khalpe, Khalibon, and to the Greeks and Romans as Beroea (Βέροια). During the Crusades, and again during the French Mandate for Syria and the Lebanon of 1923-1946, the name Alep was used. Aleppo represents the Italianised version of this. The original ancient name, Halab, has survived as the current Arabic name of the city. However, the name is of pre-Arab origin. Some have proposed that halab means “iron” or “copper” in Amorite, one of the north west Semitic Canaanite languages, since the area served as a major source of these metals in antiquity, and the Amorites dominated the region during the Bronze Age. However, according to the 20th-century historian sheikh Kamel al-Ghazzi and to the contemporary linguist priest Barsoum Ayyoub, the name Halab(and consequently Aleppo) derives from the Aramaic word Halaba which means “white”, referring to the color of soil and marble abundant in the area. The modern-day Arabic nickname of the city, ash-Shahbaa (Arabic: الشهباء), which means “the white-colored,” also allegedly derives from the famous white marble of Aleppo. From the 11th century it was common rabbinic usage to apply the term “Aram-Zobah” to the area of Aleppo, and many Syrian Jews continue to do so. *The Storm God: Teshub is depicted holding a triple thunderbolt and a weapon, usually an axe (often double-headed) or mace. The sacred bull common throughout Anatolia was his signature animal, represented by his horned crown or by his steeds Seri and Hurri, who drew his chariot or carried him on their backs. If you are reminded of Thor, you are seeing the connection. 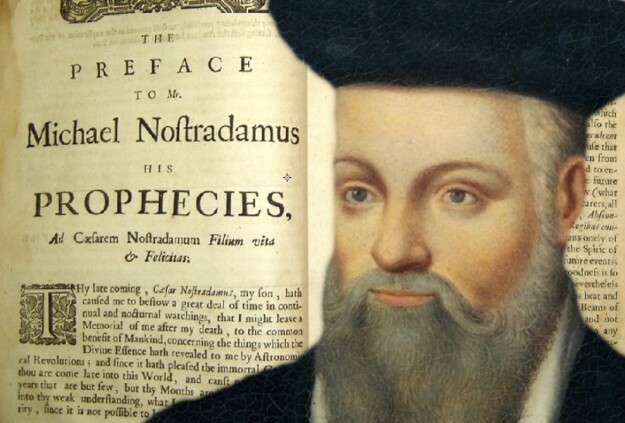 Five hundred, thirteen years ago, this week, Nostradamus was born. Michel de Nostredame, depending on the source, was born on December 14 or 21, 1503 and died on July 2, 1566. 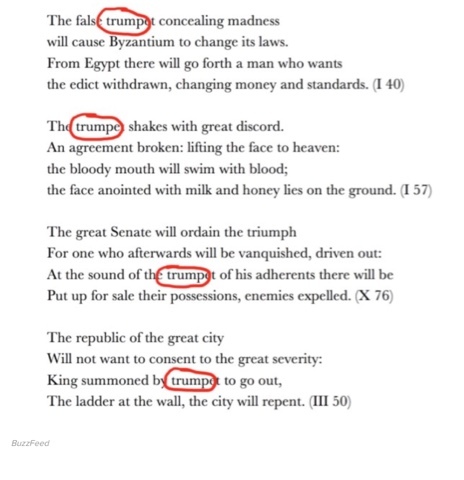 His name is usually Latinized as Nostradamus. He was a French physician and reputed seer who published collections of twilight language-filled prophecies that have since become widely famous, or infamous. Did this seemingly semi-humorous and semi-serious BuzzFeed contribution foresee some bumps in the road for Trump – after he was elected? MSNBC’s Rachel Maddow broke a Newsweek story by Kurt Eichenwald on the evening of December 12, 2016, that Donald Trump may have been placed in a compromising position by Turkey. Here are a few visuals of that insightful story. 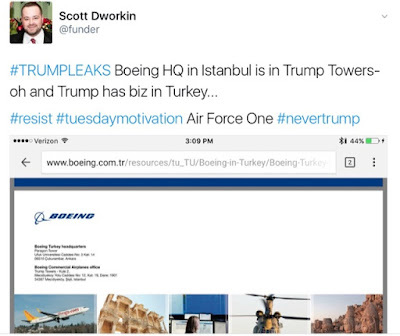 And even Boeing, Trump, and Turkey has been brought into the mix. 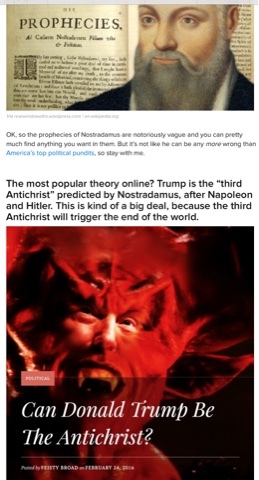 It is merely wild speculation that Donald Trump is the Anti-Christ, but it is part of the background noise that points to a link to the Nostradamus thread. 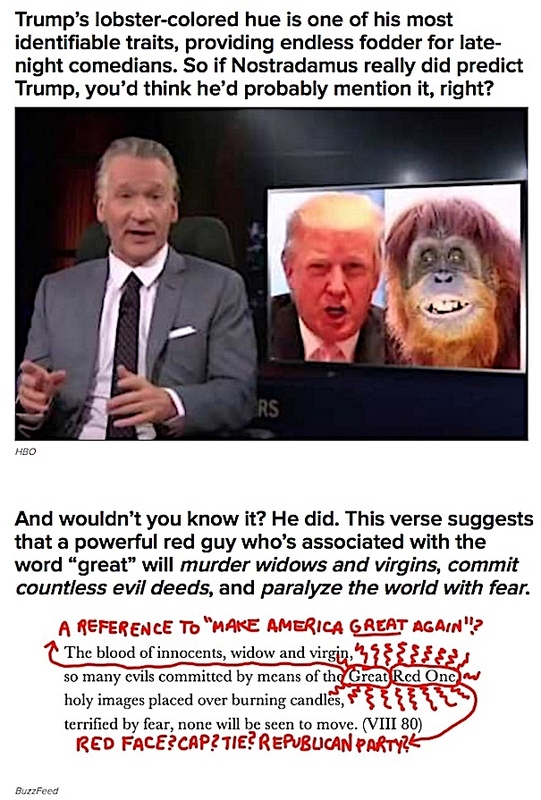 Fake news, real news, post-truth news, crazy news. 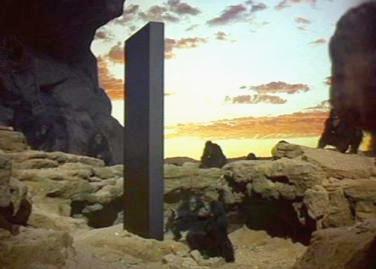 It appears reflective of this strange political year. 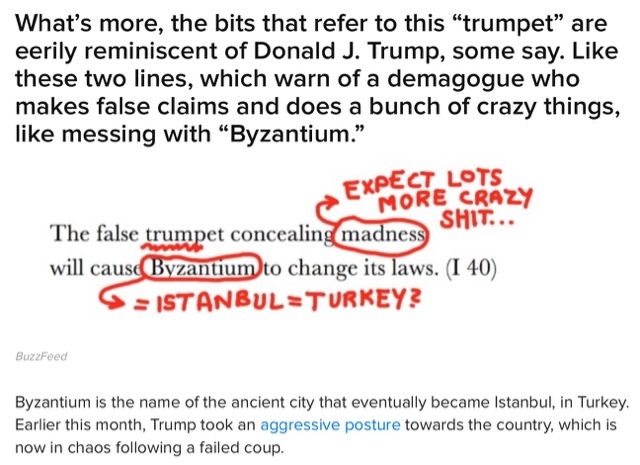 BuzzFeed, remember, back in July, made the link between Trump, Nostradamus, and Byzantium. With Byzantium and Turkey. 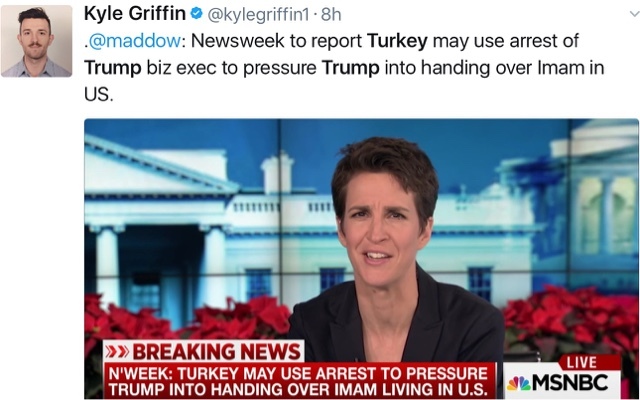 What of all this business about Russia and Trump? 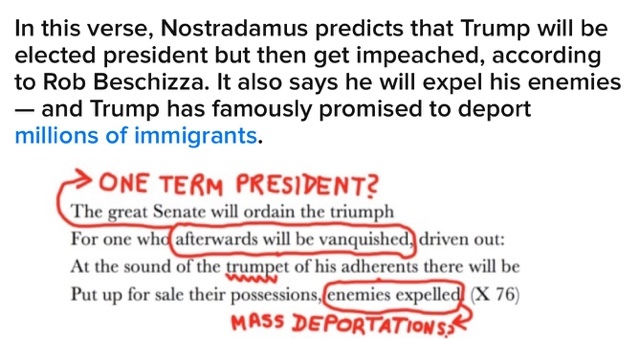 Nostradamus may have spoken to that too, not in terms of Trump being the “red” one but perhaps as “red Russia” dawning again? 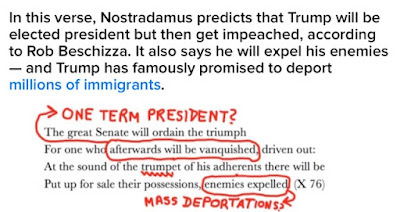 Does Nostradamus see more? Or is all of this foolishness? Stay tuned. We are not going anywhere, and we all will be watching.